Find out why Madrid and Prague are two of the most romantic cities in Europe as local tour guides describe outstanding architecture, peaceful gardens, friendly street life, and romantic viewpoints where visitors might find themselves falling in love.Plus, Rick chats with listeners who share unforgettable encounters from their travels. Websites for tour guides Federico Garcia Barroso in Madrid and Jana Hronkova in Prague include their contact information. An American traveler has posted his experience buying cookies from the cloistered nuns at the Convento de Corpus Cristi in Madrid. The Real Madrid soccer schedule is included on its official website. 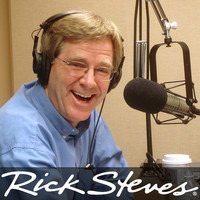 The Rick Steves online travel guide to Prague. The British-based Prague Guide website illustrates the city's variety of impressive architecture. Wikipedia has a description of each of Mucha's "Slav Epic" paintings that are now displayed at the Veletržní Palace in Prague, as well as links to various Black Light Theatre troupes, and a description of the Karel Hynek Mácha statue in Petřín Park in Prague . There are English-language websites to help you prepare for visiting the gardens of the Prague Castle and Strahov Monastery in Prague. Cameron recommends the terrace at the Hotel U-Prince on Prague's Old Town Square as a romantic, if pricey, place to enjoy dinner or drinks with a view. Wikipedia has photos, and details, on the historical architecture of the Bund district in Shanghai.